Receptionists are prepared to handle schedule changes, pricing questions, record transfers, prescription refill requests and more. They know which forms to use and where the charts are hiding. They remember the clients' names, preferences, and above all, idiosyncrasies. That's talent! 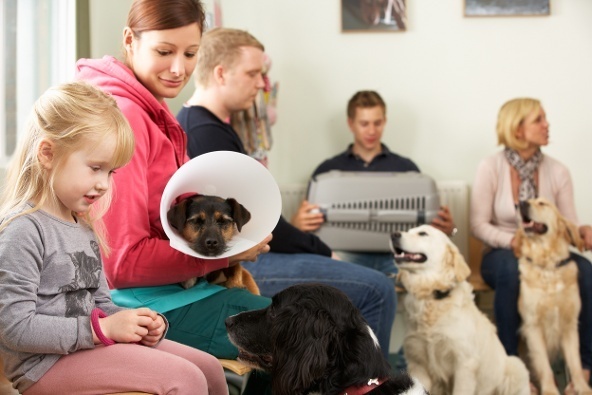 It is a veterinary receptionist's inherent ability to engage clients, whether on the phone or in person that makes the real difference for people. They’ve got the small talk down to a science and they make each client and their pet feel special and unique. When they get to exam time, the client usually feels comfortable and ready for the appointment. Hopefully the whole team is ready to pick up the line when it's ringing off the hook, but having the receptionist take charge of the phone lines is amazing. Receptionists deal with the price shoppers, the confused, and the ... questionable. They are the first line of defense and that is awesome! The last thing the medical staff wants to worry about is the money. We greatly appreciate their enthusiasm to handle the monetary transactions. Swiping cards and maintaining the cash drawer is important. To all the veterinary receptionists out there, thank you! Veterinary practices everywhere absolutely could not function without your skill, compassion, and enthusiasm!